Thanks to Tony of Coog’s Reviews for this recommendation. Here are his thoughts on the film. 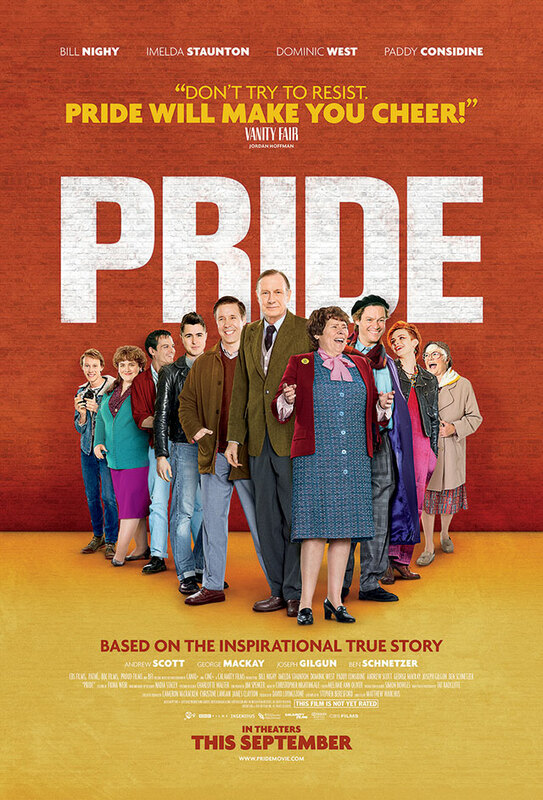 Brief Synopsis – In the 80’s a group of Gay activists decide to join the fights of the miner’s union against the government. My Take on it – This film has a really nice premise that just didn’t work for me as well as I had hoped it would. The message is extremely clear the whole way through and the ides to have two different activist group band together in solidarity in order to support each other’s causes works well. This film is based on real events that happened a bit more than 30 years ago and they manage to keep that fact in perspective when not everything happens in the way that a typical Hollywood movie would have them occur. The cast is ok here and they do a fine job of presenting the full scope of everything that is going on here. The script is written quite well and is able to find the fine balance between humor and seriousness the whole way through. Being that this takes place in the 80’s, they use so much 80’s music that was able to take me back to those days and still reverberates since then. Unfortunately tho, this film just didn’t keep me so interested the entire time and despite it dealing with issues of prejudice and exclusion that still are around now, the whole thing felt just average to me and wasn’t as powerful a story as I had expected it to be. Bottom Line – Interesting idea that just didn’t work as well for me as I would have thought. The message is quite clear about the merging of activist causes can help advance those ideas when there is solidarity. The fact that it’s based on real events also helps keep things in perspective because it doesn’t all come together in a typical Hollywood fashion. The cast does a fine job and the script is written in a way that it manages to keep a proper balance between the humor and seriousness of the situations presented. Loved the 80’s soundtrack which reverberates the times so well. Overall tho, this film felt only slightly above average despite its attempt to conquer prejudices that still exist 30+ years after this film takes place. I loved everything about Pride. I think it was actually my favourite film of 2014.